On this site we offer a guided tours service to Villa d’Este in Tivoli and a tourist guides service in the other main places of interest located in Tivoli and in Tivoli’s countryside. 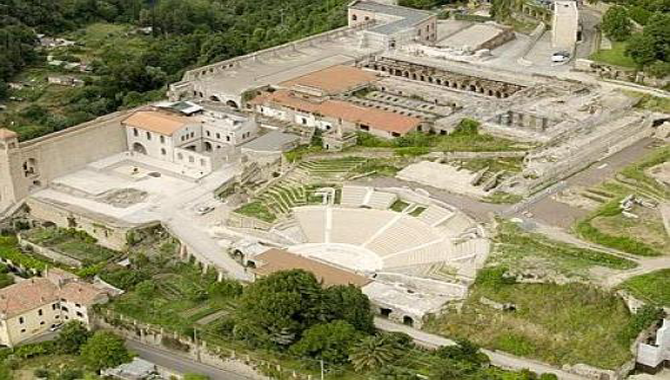 A few kilometers from Rome, immersed in a green setting, stands this marvelous oasis known since the ancient times as Tibur: a territory full of places of artistic, naturalistic and archaeological value known all over the world. The guided tours that we offer in the main places of Tivoli are carried out by qualified tourist guides who will be able to satisfy every kind of curiosity related to the territory. A path full of valuable sites to visit. Above all, Villa d’Este, the marvelous Renaissance villa, a masterpiece of art and nature, is included in the UNESCO world heritage site. However, in Tivoli, there is not only Villa d’Este. There are also two other famous villas: Villa Adriana and Villa Gregoriana; the Tivoli’s Baths; the Sibyl Temple; the Church of San Francesco. And again, numerous Churches, Temples and medieval houses to enrich this wonderful site. With this site we want to provide a complete guide on what is possible to visit in Tivoli and all around its countryside. We give also a series of tips on accommodations to choose from to sleep or just to eat in Tivoli. 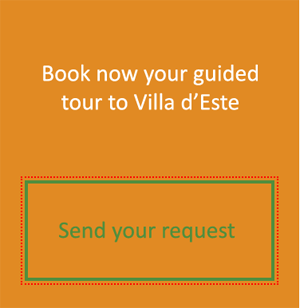 Our goal is to offer professional guided tours in Villa d’Este and in all other places of interest in Tivoli: we are a group of professional tour guides, qualified and specialized in this area that we know in every corner. 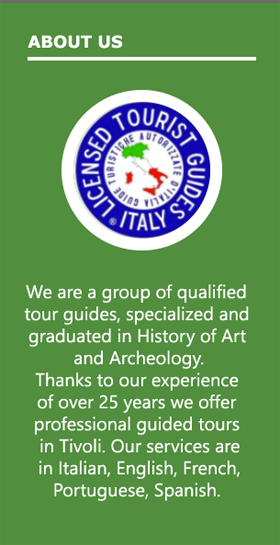 Our goal is to offer guided tours in Italian, English, French, Portuguese and Spanish to anyone who wants to visit these sites.